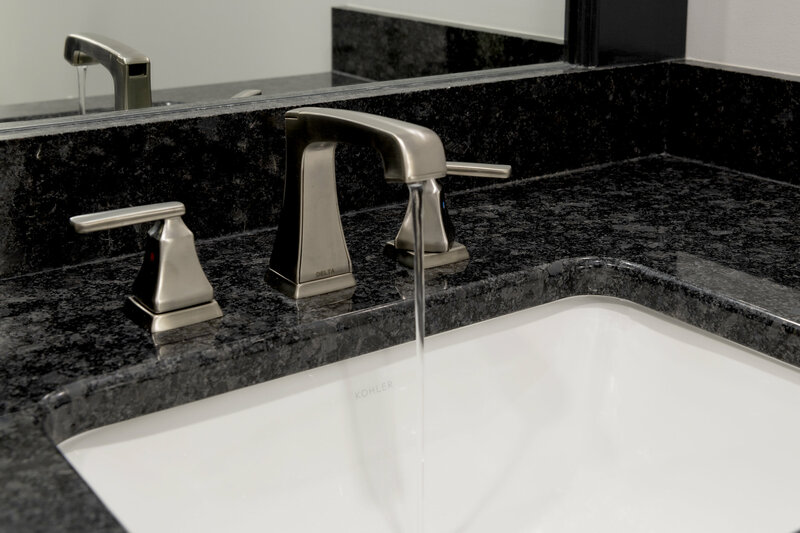 Odd Fellows Contracting worked with this client in Lansing to make some miscellaneous updates to their bathroom. 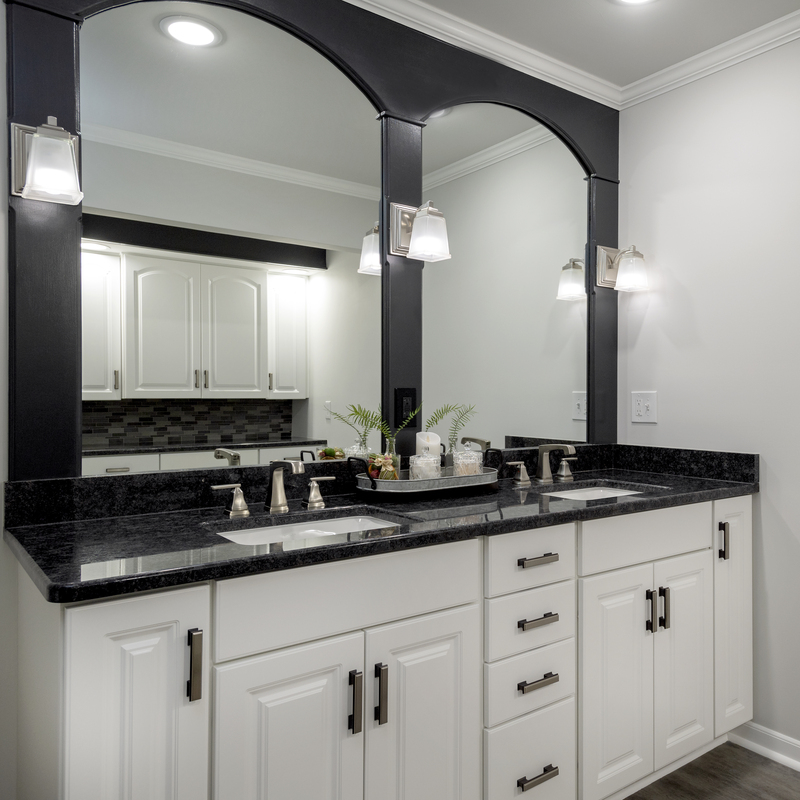 Their vanity, sinks, and mirror unit were replaced along with removing their existing bathtub. Their flooring was updated along with work to patch some roofing and walls with some previous water damage. 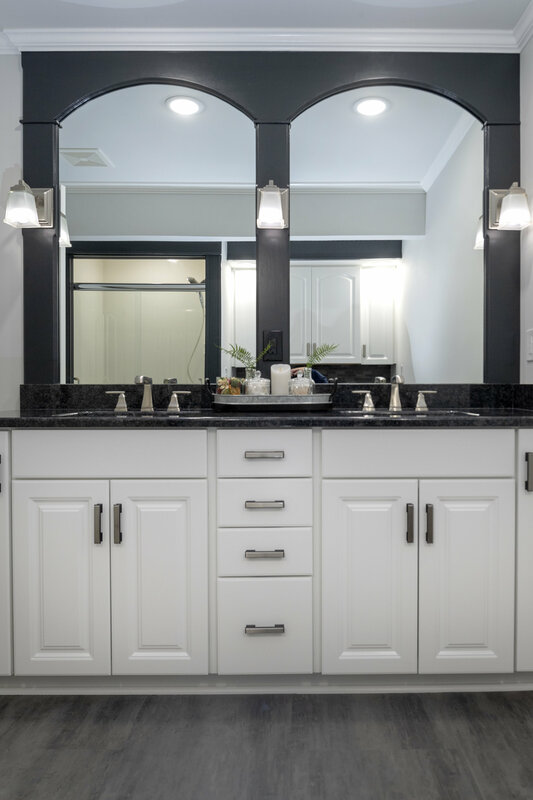 The custom mirrors were a special request and became key in the design of the vanity unit.